I am so pleased and proud of all my sons. 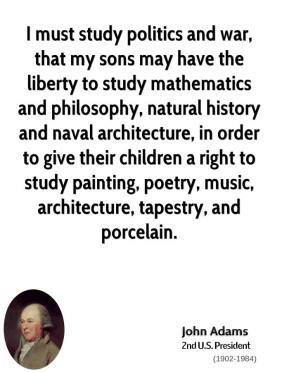 I must study politics and war, that my sons may have the liberty to study mathematics and philosophy, natural history and naval architecture, in order to give their children a right to study painting, poetry, music, architecture, tapestry, and porcelain. 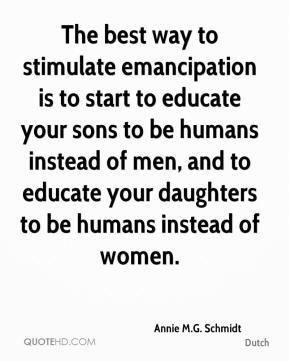 The best way to stimulate emancipation is to start to educate your sons to be humans instead of men, and to educate your daughters to be humans instead of women. 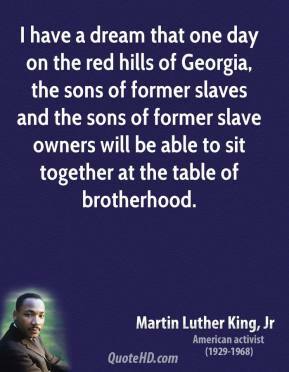 There are a lot of us here, [from] both parties, who want to get our sons and daughters home as quickly as possible and to be there not a day longer than they have to be. And that date is determined by those metrics [figures and benchmarks] you supply us with. 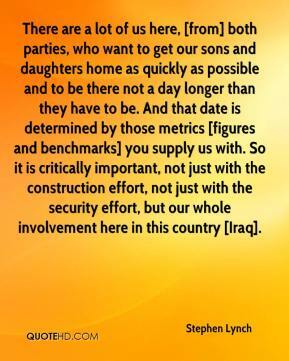 So it is critically important, not just with the construction effort, not just with the security effort, but our whole involvement here in this country [Iraq]. These kids are like your sons. To see one of them go down like that, it's tough. 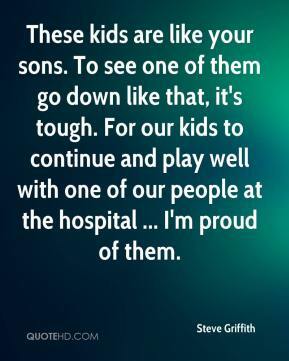 For our kids to continue and play well with one of our people at the hospital ... I'm proud of them. 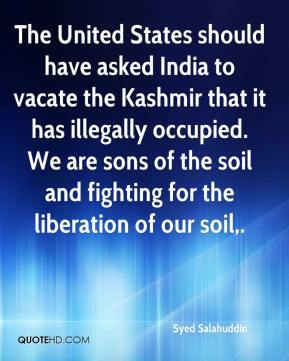 The United States should have asked India to vacate the Kashmir that it has illegally occupied. 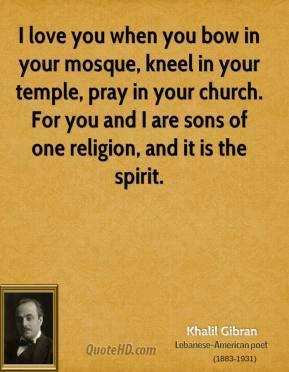 We are sons of the soil and fighting for the liberation of our soil. 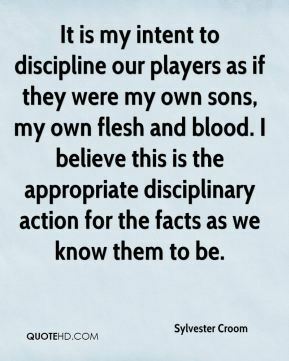 It is my intent to discipline our players as if they were my own sons, my own flesh and blood. 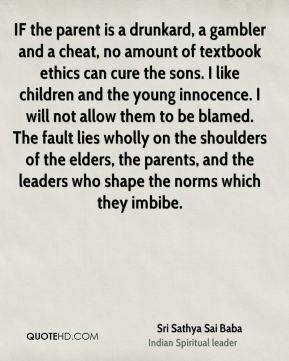 I believe this is the appropriate disciplinary action for the facts as we know them to be. 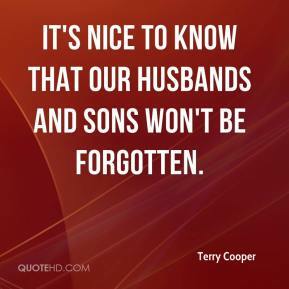 It's nice to know that our husbands and sons won't be forgotten. 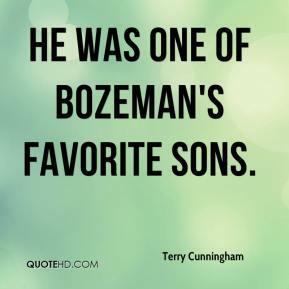 He was one of Bozeman's favorite sons. 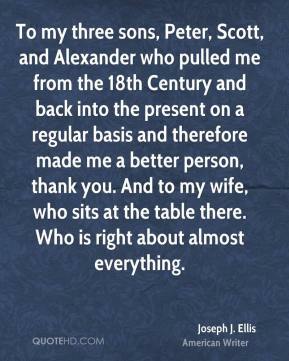 He had a wife and two sons, was the sole support and caregiver for his 90-year-old mother, who lived with them. He's the type of guy any of us would like our sons to be like. 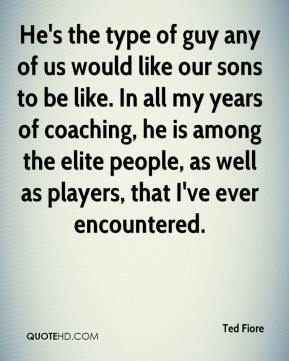 In all my years of coaching, he is among the elite people, as well as players, that I've ever encountered. 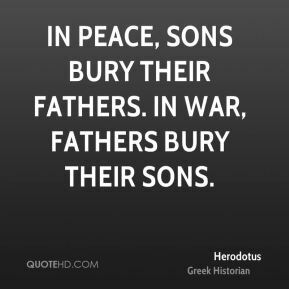 Clearly, influencers want to know what the Army is going to do for their sons or daughters for life, ... 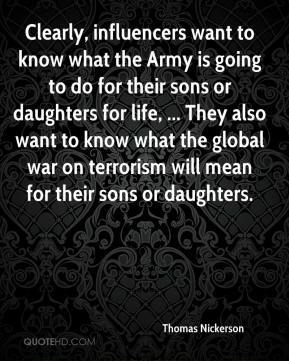 They also want to know what the global war on terrorism will mean for their sons or daughters. 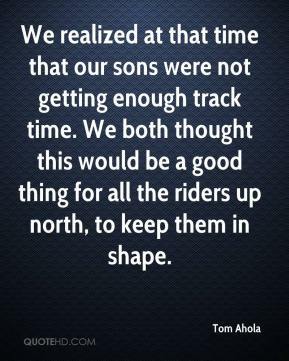 We realized at that time that our sons were not getting enough track time. We both thought this would be a good thing for all the riders up north, to keep them in shape. Most importantly, I enjoy the game. 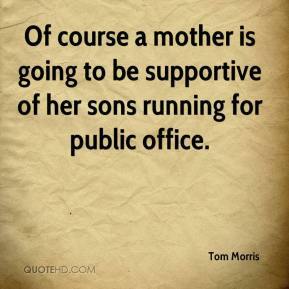 Secondly, I have two sons. Tim Jr. is 11 now. He grew up around the sports atmosphere. Most kids only see game day. 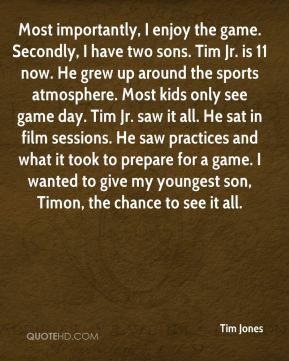 Tim Jr. saw it all. He sat in film sessions. He saw practices and what it took to prepare for a game. I wanted to give my youngest son, Timon, the chance to see it all. 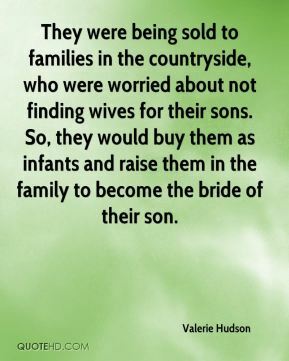 They were being sold to families in the countryside, who were worried about not finding wives for their sons. 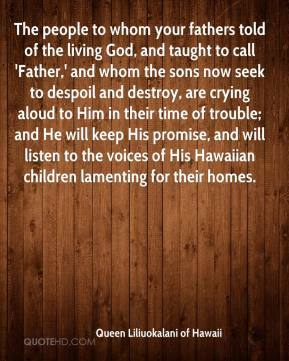 So, they would buy them as infants and raise them in the family to become the bride of their son. 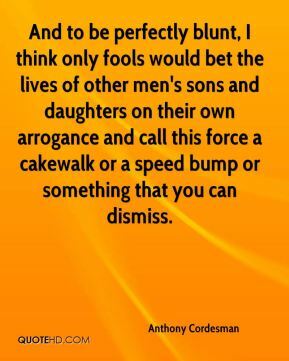 And to be perfectly blunt, I think only fools would bet the lives of other men's sons and daughters on their own arrogance and call this force a cakewalk or a speed bump or something that you can dismiss. 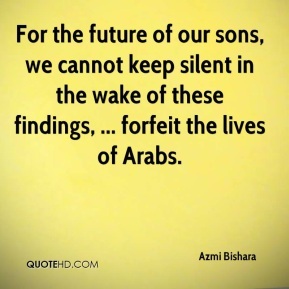 For the future of our sons, we cannot keep silent in the wake of these findings, ... forfeit the lives of Arabs. 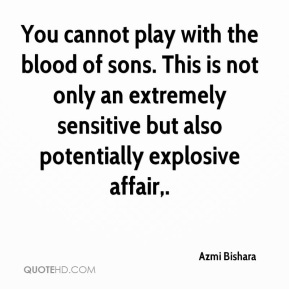 You cannot play with the blood of sons. This is not only an extremely sensitive but also potentially explosive affair.